StarTopia was put together by former Bullfrog employees and has you take control of several space stations as you attempt to create a thriving space hub for the galaxy. 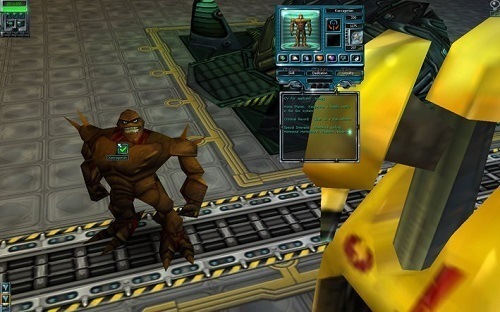 StarTopia was released back in 2001 and features the same humour filled gameplay that made the Dungeon Keeper series and similar games such as Theme Hospital so popular. The game takes place in a universe that has been devastated by war with players taking control of one of the few remaining space stations and a beacon of hope in the galaxy. StarTopia presents you with a variety of different scenarios to tackle with varying game objectives although most are economically focused. Management is the focus in StarTopia with players not having direct control of the aliens they attract to their station. Your time is instead spent creating the necessary rooms to encourage your visitors to spend more time and money in your space port. You also have control over employees which you hire to staff your various rooms, each alien species has their preferred job role and individual stats that make them more suited than others. In each space station of the game you can build rooms across three separate decks that each has a different focus. The main space deck (or the engineering deck) is where visitors enter and exit your space station making it a highly trafficked area. The next deck that will attract your attention is the pleasure deck where you’ll be building the majority of your money making rooms. Finally, the game offers a biodeck where players create their own realistic environments that can be highly customised and also used to harvest resources. Everything isn’t a simple management experience though with players having to fight off enemy agents that will attempt to sabotage your efforts. StarTopia is a truly unique experience and a gem in gaming history that fans of business simulation games and even city builders will love. Unique space station management experience. Build rooms for food and recreation to attract visitors. Create your own environments on the biodeck. Defend your space station from enemy agents. 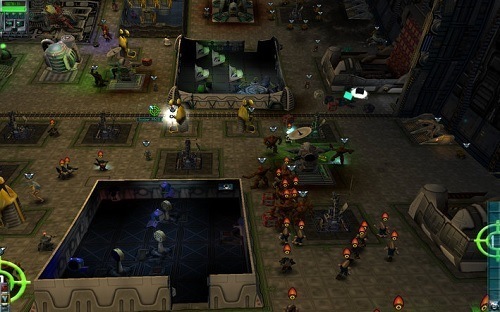 From the same brains that brought you Theme Hospital and Dungeon Keeper.